Zimzat's Gallery Things From "Russell" comes "Joseph"
Normally when I go to Starbucks I might have to say my name twice and the only question is on spelling (one L or two). Nope, yesterday I got renamed completely. I laughed all the way down the block. 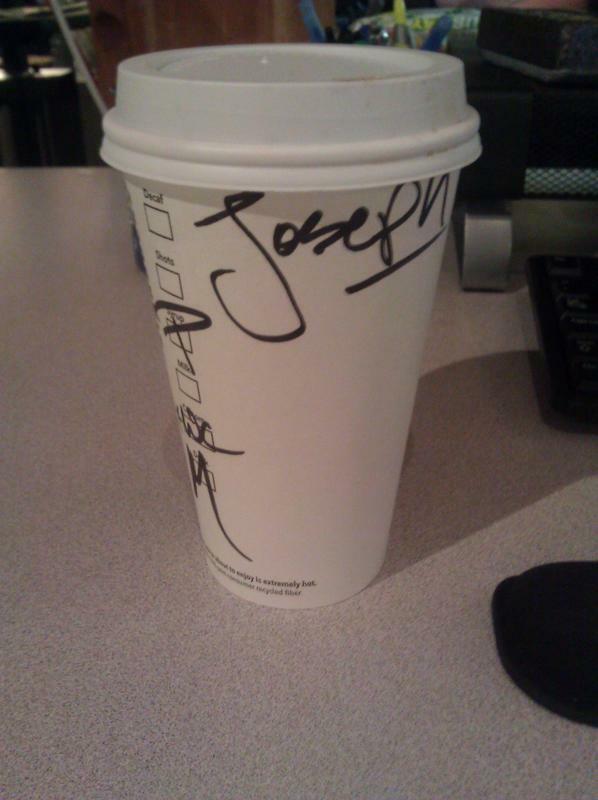 Behold, my new name of "Joseph".